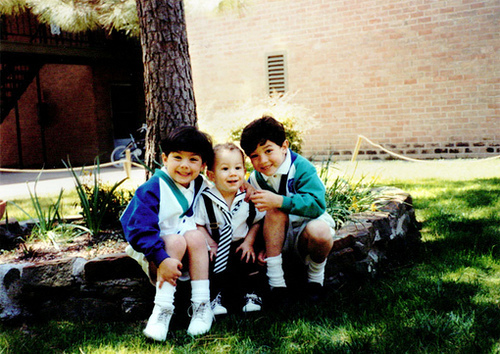 Young jonas!. . Wallpaper and background images in the The Jonas Brothers club tagged: jonas brothers joe nick kevin young. This The Jonas Brothers photo contains street, city scene, and urban setting. There might also be live oak, chalet, and mulch.